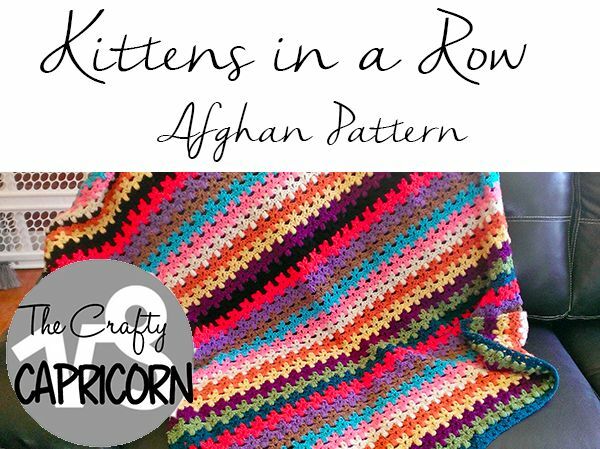 Purrfect for pillows, throws, and afghans, this stitch rapidly creates a pattern of repeating cats' heads and bodies. Sometimes also called kittens in a row, this is a great fun stitch for kids' gifts or the cat fan in your life - and something that's bound to get people talking! 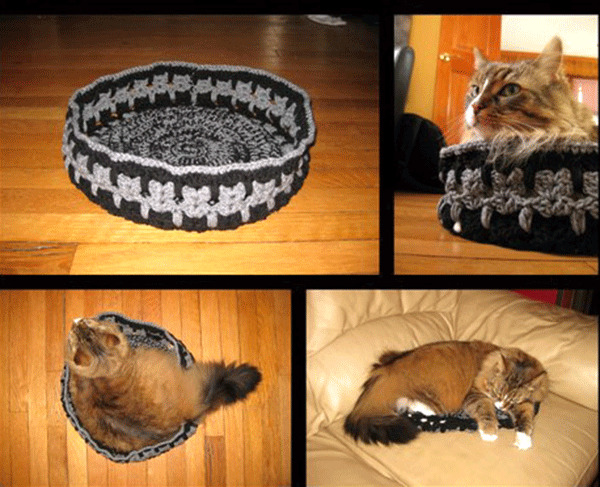 It looks impossibly complicated, but it's just a combination of double crochet and chains that builds up to a clever cat motif. This pattern works in multiples of five, so decide how wide you'd like your project to be and chain your desired number of stitches, making sure the total divides by five. 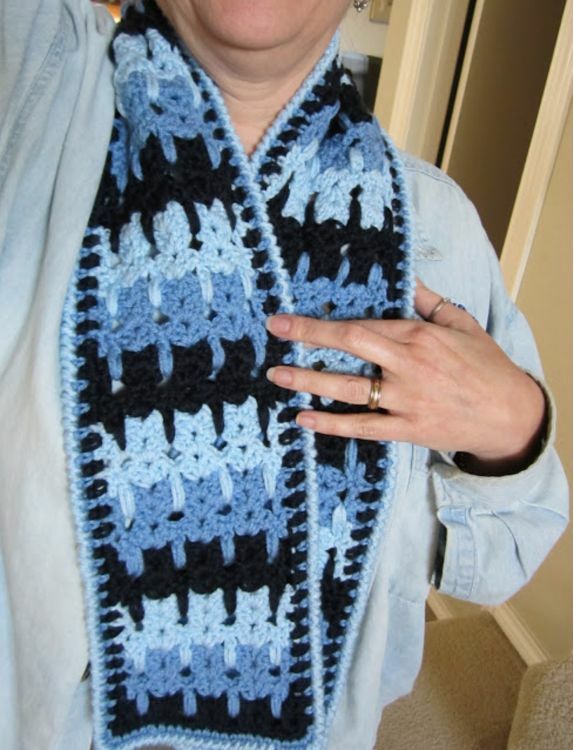 Do a double crochet in the fourth chain from your hook. Now skip four chains. 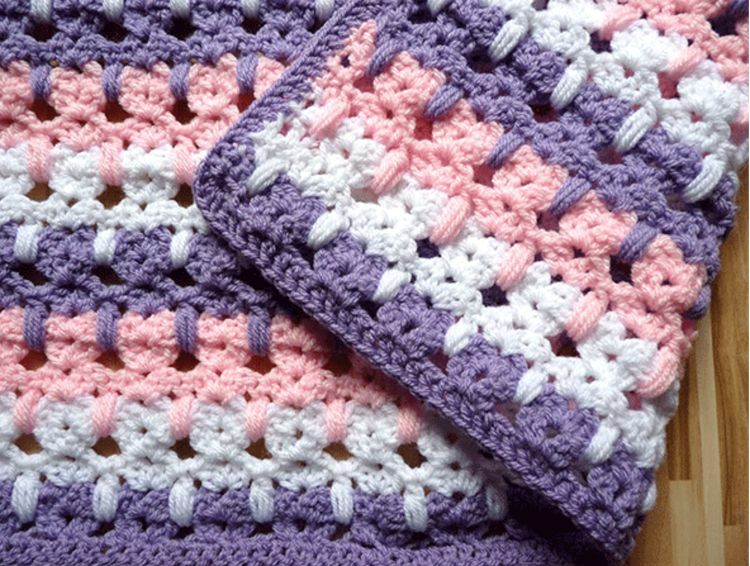 In the fifth chain you will work a shell stitch, which will be made up of two double crochets, then a chain one, then two double crochets again. Now skip four chains and repeat the shell - two double crochets, chain one, two double crochets. Continue this until you reach the last part of the row, where you will miss four chains as usual and do two double crochets in the last two stitches. Chain two and turn. The turning chain of two represents a double crochet. You'll put another double crochet into the second double crochet on the previous row, then move to the chain one space in your first shell from row one. You'll put another shell stitch into this space, comprising two double crochets, a chain one, and two more double crochets. Continue this until you have another row of shell stitches. Finish the row with two double crochets into the two from the row before. Change the color of your yarn and chain two. Your turning chain of two counts as the first double crochet. Double crochet again into the next stitch. Now comes a drop stitch which will represent the paws of the cat. Yarn over and drop down to the space between the first two shells on row one. Pull the yarn up, give it a little tug if necessary to ensure the yarn is long enough and won't crumple the shells, and yarn over once again, dropping down to the same space again and pulling up. 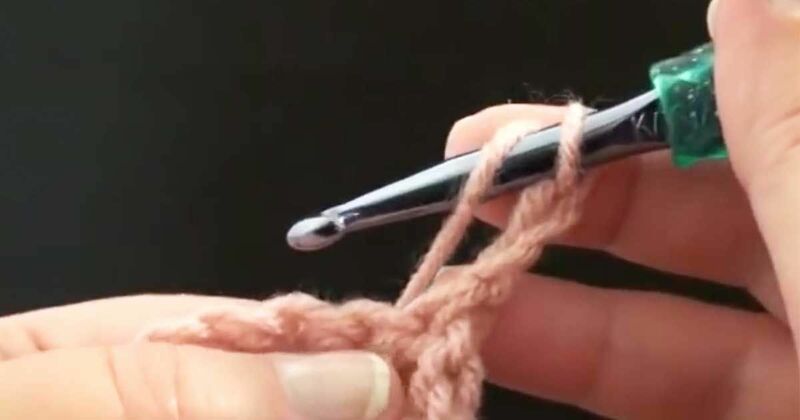 This should look a little like an elongated puff stitch on your crochet hook. Then yarn over once again and pull through all the loops on the hook. This forms your cat's paw. Then go to the next chain one space and work a shell as before - two double crochets, one chain, two double crochets. Now work another drop stitch, reaching down to the space between the shell stitches on row one. This forms your second paw. Next, comes another shell stitch in the one chain space. 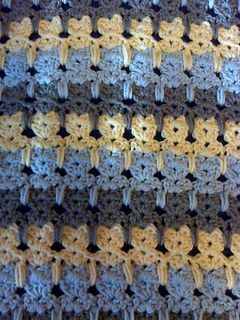 Continue alternating paws and shells until the end of the row, finishing with two double crochets. Chain two and turn. The chain two counts as your first double crochet, then work one double crochet into the next stitch. In the next chain one space, work a shell with two double crochets, one chain, and two more double crochets. Repeat all along the row and finish with a double crochet in each of the last two stitches. Chain two. Repeat row four. Change your yarn color and chain two. Row six is the same as row three - you will start with two double crochets then do the 'paw' stitch into the gap between shells two rows down. Then put a shell into the next one chain space, and continue this pattern until the end of the row, finishing with two double crochets. Chain two and turn. You now have your basic pattern. You will know best when you want to change colors. The pattern looks great worked in three main colors but can also be spectacular with more color changes. You'll love the way that the cats stand out in their rows, adding a really cute touch to any project.